It was all smiles from both models and audience at the Von Furstenburg catwalk for this coming fall season and rightly so with the selection that was delivered. 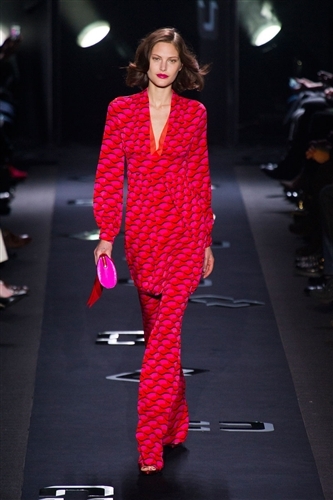 Autumnal jewel tones and a seventies style flashback meant a collection full of glamourous seperates and one pieces. Silver and gold metallic jeans with plunging v-necks made a statement hard to dismiss. A velour burgundy dress layered over identical trousers was a fabric technique used as well as all over winter brown suede dresses. 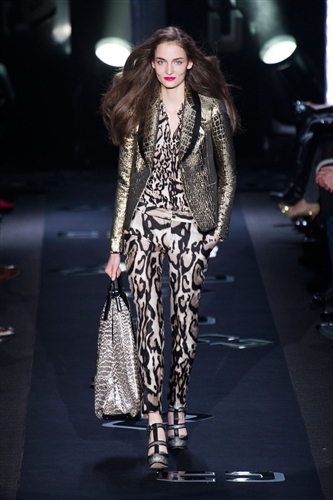 Another look Diane seems to do so well is leopard print and it was available in a number of varieties including her famous wrap dresses. 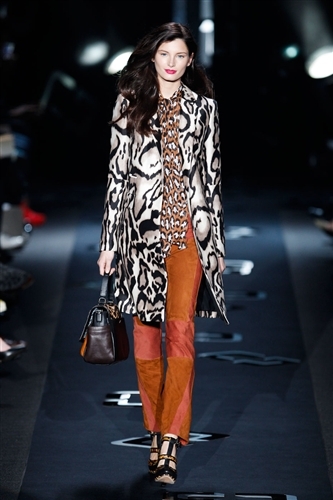 African tribal occurrences became apparent in both her prints and colours which is an ideal palette intended to set trends. 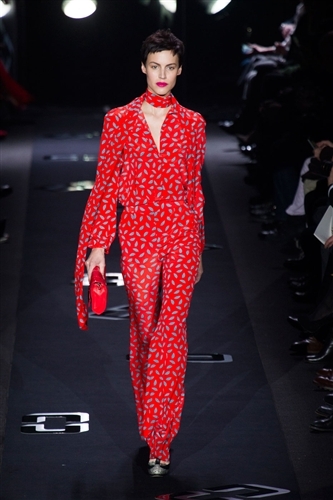 The DVF woman is the life and soul of the party and with the looks planned for fall she will definitely not disappoint.